The 4-8 start to the season has been anything but ideal for the Los Angeles Dodgers, with a World Series hangover seeming like a serious possibility. However, the luxury in baseball is the 162-game season, allowing for many ups and downs along the way. Saturday provides another opportunity to change their momentum, as Rich Hill attempts to end the Arizona Diamondbacks’ 10-game regular season winning streak against Los Angeles. After a brilliant debut to the 2018 campaign, Hill regressed in his last outing. His debut saw him pitch six shutout innings against the San Francisco Giants, allowing five hits while striking out five batters. However, he surrendered three runs on five hits in just four innings pitched the following start, in what turned into a no-decision once again against the Giants. The 38-year-old expressed his discomfort with the results following the outing, stating his pitch location was to blame. Another keynote going against Hill is his previous experience against the National League West rival. Hill has yet to collect a victory against the Diamondbacks since he has joined the Dodgers, including an 0-3 mark with a 5.03 ERA and 1.07 WHIP during the 2017 campaign. He is coming off of a full week of rest in between starts. Hill’s saving grace may be the confines of Dodger Stadium, where he has assembled a 10-6 record, 2.10 ERA, and 1.03 WHIP in 19 career starts. For the Diamondbacks, Taijuan Walker can continue the success that Zack Greinke led off the series with. Though, Walker had subpar results in his first time facing Los Angeles this season. On April 2, Walker permitted three runs on eight hits and two walks in five innings pitched, earning the no-decision in what finished as an Arizona comeback. The former first-round selection was able to get back on track with a quality start, allowing just one run on three hits in six innings pitched in a no-decision against the St. Louis Cardinals. The 25-year-old owns a 2-1 record in five career starts against Los Angeles, but has a 4.91 ERA and 1.56 WHIP. Walker was able to limit the Dodgers to two runs in 11 innings pitched at Dodger Stadium in 2017, while striking out 11 batters in the process. Corey Seager is 4-for-9 in his career against Walker with four RBI. Yasmani Grandal (5-for-10) and Joc Pederson (5-for-11) have also been effective against the right-hander. 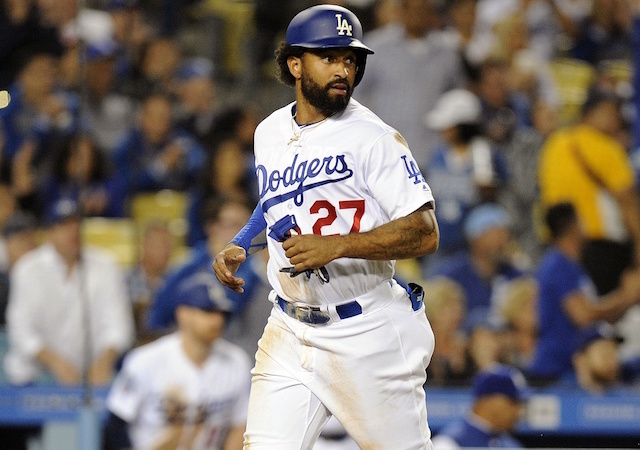 For that reason, Pederson is in the lineup and playing left field while Matt Kemp gets a day off after suffering a knee contusion in Friday night’s game. He said the injury is not an issue moving forward though.